iTrail – Keeping Tabs on your Car, Kids, or Keys. My daughter’s only 10, but already I imagine the day she starts to hang out alone with friends, or worse… starts to drive . Who among us doesn’t have a horror story that involves a teen driver? Unfortunately, I remember being a teen (keep your snickering to yourself) and I couldn’t imagine anything bad ever happening to me. I took chances I shouldn’t have, and while I’m still around, I know kids who weren’t so lucky. Is there a way to keep kids safe, when driving, or even just shopping around the local mall? Well, in order to make an impression, I believe parents need to know whats going on, and iTrail may be the gadget that can keep them informed. 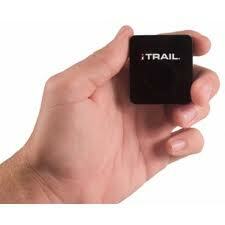 iTrail is a small, lightweight, and waterproof multi-use GPS tracker. Designed to be carried in a pocket, dangled from a pet, keychain, or attched to a car, bike or motorcycle via an optional magnetic case, the iTrail can keep track of almost anything worth keeping track of. iTrail can provide concerned parents (or pet owners) with real-time tracking, location history and speed monitoring. iTrail logs this information and then displays it on an easy-to-use PC interface powered by Google Maps and Google Earth. I know that some applications for the iTrail feel dangerously like spying, and folks may feel that some of these new technologies really infringe on privacy, but I’m not sure where I weigh in on this debate. I do know that there are certainly some parents, that in hindsight, would have done anything to keep their child safe. iTrail can record for about 120 hours, requires no subscription, and is available for under 190 bucks (with the magnetic case) from amazon.com. So please tell me, just how far, is too far when keeping tabs on your kids? and what if it were an employee or a spouse? amazon says it has NO real-time tracking. you have to plug the device into your computer to get the data, which is not really all that useful, considering that most phones can be setup to track GPS as well.